Dinner, Sunday-Thursday, from 5 pm - 11 pm; Friday & Saturday, from 5 pm - 12 midnight. 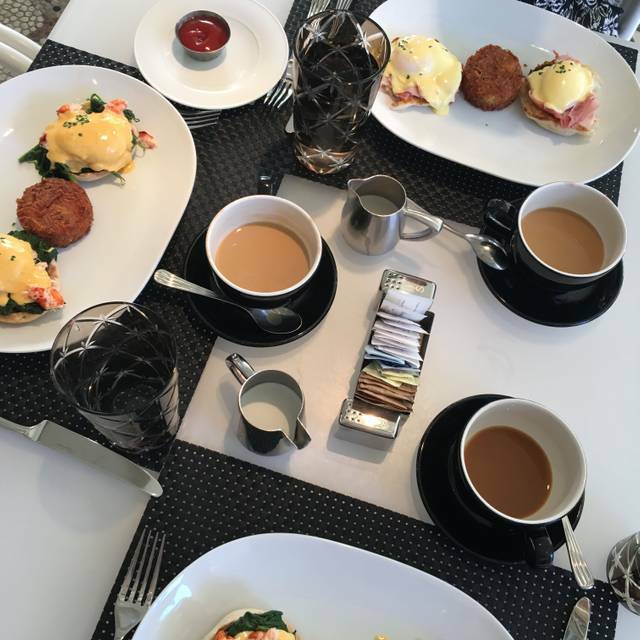 Lunch, Monday-Friday from 11:30 am - 3 pm; Brunch, Saturday & Sunday from 7 am - 3 pm; Breakfast, Monday-Friday from 7 am - 11:30 am. Afternoon menu offered daily from 3 pm - 5 pm. 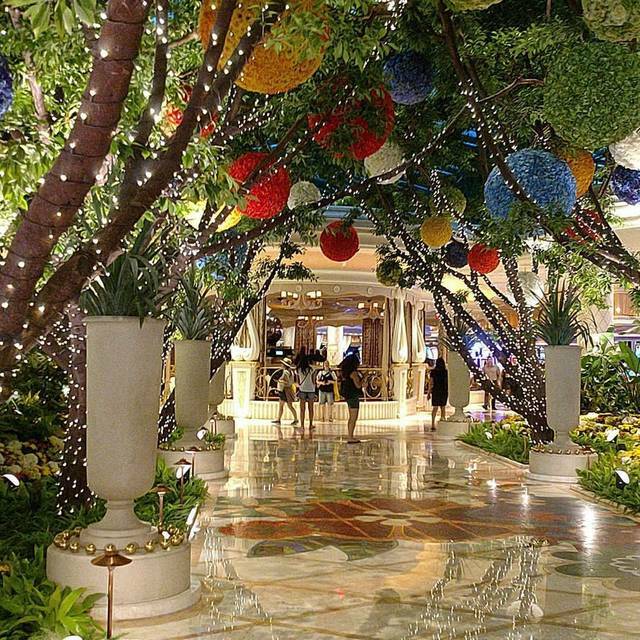 Valet parking is available at the Encore Resort porte cochere located on Wynn Boulevard off Las Vegas Boulevard. Self parking is available in both the Encore self-park garage located on Wynn Boulevard off Las Vegas Boulevard or the Wynn self park garage, located just past the Wynn main gate on Las Vegas Boulevard. Please visit wynnlasvegas.com/parking for rates and further information. Group dining and outdoor patio dining. 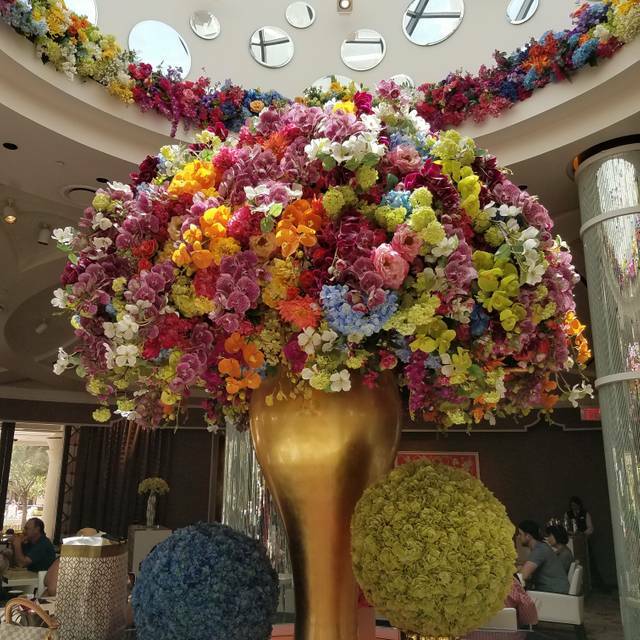 Jardin, the newest restaurant inside Encore at Wynn Las Vegas, showcases chef Joseph Zanelli's innovative take on seasonal American fare, served in a sleek and social environment. The accomplished chef's passion for sustainable sourcing has inspired an upscale menu of elevated classics, reflecting the best of each season's bounty. By day, sunlight streams in through the dining room's large windows, creating a serene garden environment. At nightfall, the space strikes a stylish and sophisticated tone perfect for pre-theatre, dinner or late night dining. Two spacious outdoor patios offering al fresco dining may also be used for private events and entertaining. Wynn's master mixologist Damian Cross oversees the bar program, offering a robust menu of inventive, artisanal cocktails that pair perfectly with the cuisine. The wine list, curated by Wynn's wine director Mark Thomas, features over 100 selections of new world wines and varietals, with over 20 available by the glass. Server was amazingly friendly and helpful and professional (I think her name was breanna). I started with the vegan buffalo cauliflower which was delicious. The vegan blue cheese could have had a bit more salt and a bit more texture but was otherwise quite good. For my main, the kitchen was kind enough to prepare the vegan green pizza from the lunch menu. First of all, it was Huge! Covered in broccolini pesto and the most incredible vegan ricotta I’ve ever had. Drizzled with chili oil - quite possibly the best vegan pizza ever! A wonderful meal. My mother who eats everything had the salmon and said it was delicious and expertly cooked! Beautiful setting, food and great service, the Flowerpot Cake is a must have! Our vegan meal was excellant. It was so nice to eat something sophisticated for a change. Normally the vegan options are just french fries and a bowl of lettuce with olive oil and a lemon wedge for a dressing. Here we had spinach ravioli filled with almond ricotta cheese and a delicious dessert. We had a very enjoyable dinner here before John Fogerty concert. Service was outstanding, as was our meal. The space is very comfortable, clean and tables arranged to allow some space and privacy. We had the crab cakes appetizer and the seafood pasta main course. Both were fabulous, stuffed with shellfish. Serving size is healthy but not overdone. We treated ourselves to the small bite sampler set of four different taste treats for dessert - also delicious. Presentation of each course was simple and elegant. We highly recommend Jardin to anyone looking for an upscale but relaxed dining experience. 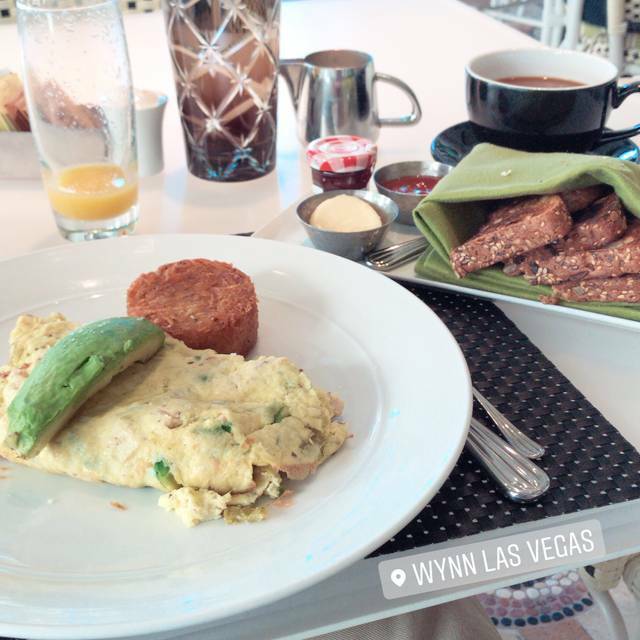 We moved to the Las Vegas area about six months ago and will return to Jardin the next time we visit the Wynn. The only bad thing I can mention is the serving of cold coffee after dinner. The waiter corrected things right away. Wait staff pleasant and attentive. Food great. Ambience great. The food was very good. We had the chicken meatballs, artichoke dip as apps and they were both very nice. The pork chop was large and juicy with nice flavor. Prime rib with mashed potatoes was great. 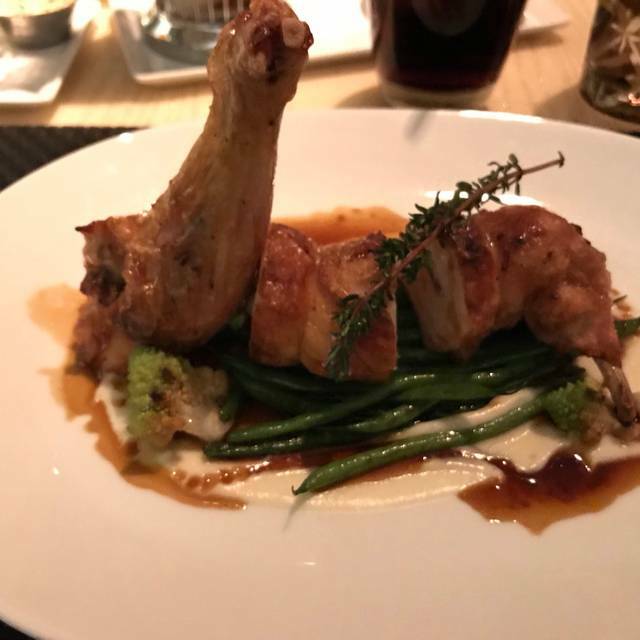 The only negative was that the service was a little slow and not quite as attentive as I would expect of a restaurant of this caliber but overall the experience was a good one. Sort of good food priced higher than it should be resulting in an OK dining experience. Had a NY Strip and some prime rib and both were flavorful and cooked perfectly. Also shared the crab cake appetizer which was equally as delicious. I highly recommend Jardin and look forward to another meal there next time I am in town. Waiter seemed to be new and could use additional training. Floor manager made up for the slow service with personal attention. Waiter was VERY nice, just slow to get started with us and not quite as attentive as he should have been. The customer service was amazing! All the of staff was super nice, the food came out quickly and tasted phenomenal. I would highly recommend their flower pot cake was delicious! Lovely restaurant with a beautiful center art piece, lots of light and a view of the pool. Patio seating as well. Kale scramble with onions and peppers was delicious as was the traditional Benedict - the poached egg was soft and perfectly cooked. Portions are just right. The pink sangria was refreshing and the bloody mary spicy. It was typically priced for a fancier Vegas place - about $40 a piece with drinks. 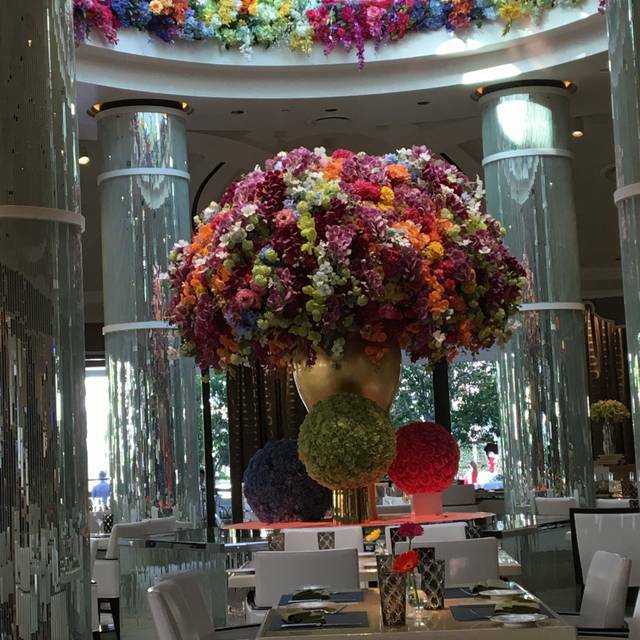 I was here last Mother's Day and the huge floral decor in the center of the room added a heightened ambiance to the restaurant. I took an visiting guest and was disappointed that the flowers were removed and palms and board leafy plants were in it's place. Totally ruined the ambiance. It looked like an area I would have found in an atrium lobby area of a corporate building. Service was good but food was just okay for $20 omelette with no plate presentation. Server took our order and never checked in again. Would’ve loved to order another $14 glass of wine. Expected better being part of the Wynn collaboration. The Jardin has great food and ambience. Must have Jardin’s Dessert it’s amazing. Food was good, price was a bit high and our server, Caleb, was excellent. Mango cheesecake was sublime. Absolutely amazing. A wonderful experience for being in Vegas! Amazing food and experience! Loved sitting outside for the water show at the Bellagio. Meh. That’s the best we can say. Excellent - highly recommend for a up-scale meal in a peaceful casual environment. Great and attentive service for a birthday celebration! Great service. Food came fast and all staff was extremely friendly. Wasnt impressed by the menu. It felt safe in so many ways. Friend chicken, missed the mark. Buffalo cauliflower was great. 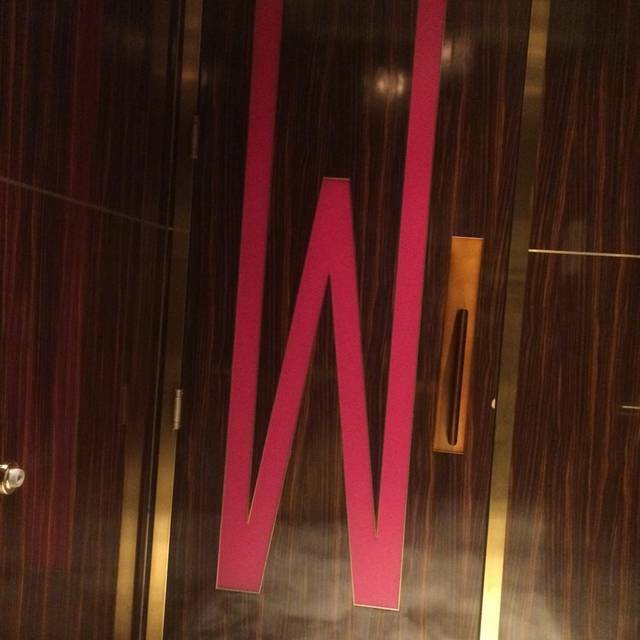 Went there to celebrate international woman’s day and were absolutely disappointed with the place. We are vegans and I must say that the restaurant offers only several positions that are pretty disappointing. The service was quick like we were in the fast food delivery; buffalo cauliflower was Greasy and ravioli were microwaved and served in 5 minutes after we made our order. Vegan Bread and butter were served after the main course. The whole restaurant feels really cold inside. Good food fresh and interesting without being too eclectic! Great service. Beautiful ambiance! Great drinks tried salads, buffalo cauliflower and the price chop all delicious! I love this restaurant. 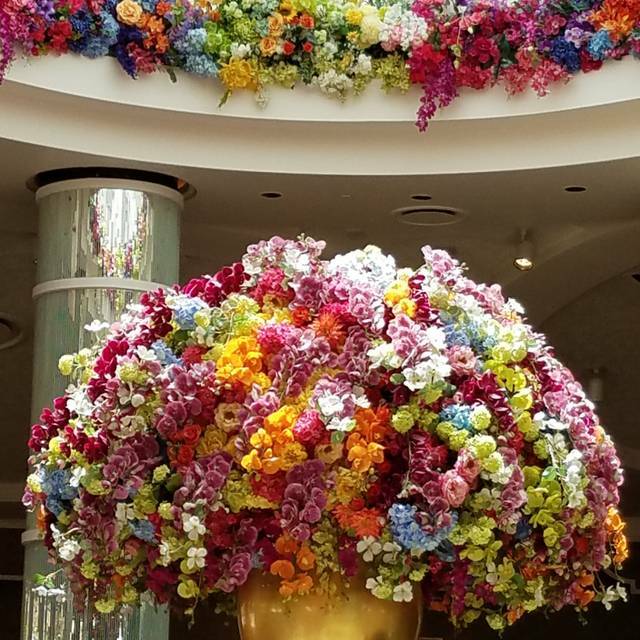 its our go to at Wynn. Its nice, have good food options for everyone...but this trip in particular...we couldnt get our drinks from the bar. Our starters and entrees came and we still had not received our drinks. The manager was very kind and bought our drinks for us but it would have been nice to have them before food. Didnt have the best server but usually am thrilled with that restaurant, food and service! Mediocre at best. The best part of my meal was the cocktail. Not at all repeatable. Jardin is a beautiful place. The food and coffee were delicious (especially the chilaquiles and their vanilla latte) and patio sitting is just lovely. 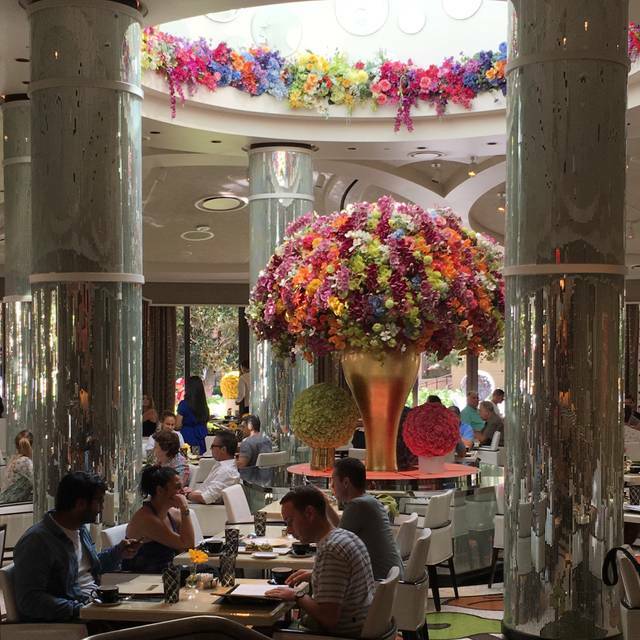 Food was ok. Mostly the same menu you’ll find at the other restaurant options between Wynn and Encore. Service was pleasant but a little slow. Waited forever just to have my water glass refilled. $31 for a single bowl of spaghetti is a lot. The accompanying garlic bread tasted like something straight from the toaster and sprinkled with onion salt. Nothing special.